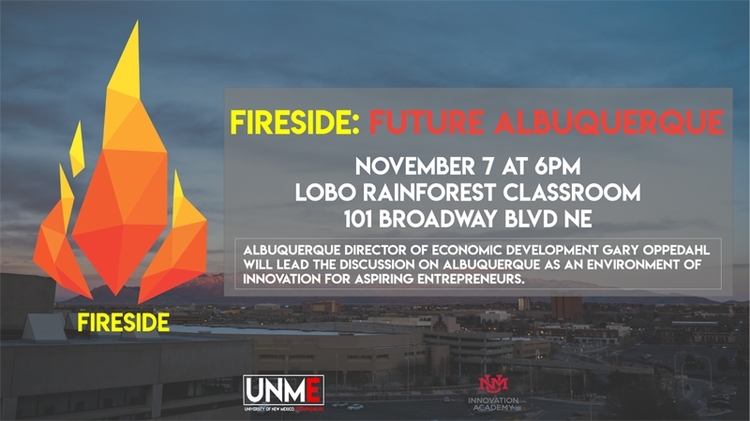 The University of New Mexico Entrepreneurs (UNME) club hosts “Fireside: Future Albuquerque,” featuring Albuquerque Director of Economic Development, Gary Oppedahl. 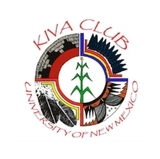 The event, which will be held Tuesday, Nov. 7 at 6 p.m., will focus on the current position of Albuquerque as a city and how its future may be effected. 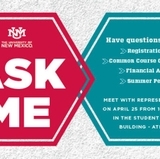 A variety of topics will be discussed including: Albuquerque choosing a new mayor; what is being done to support and attract new ventures; groundbreaking technology becoming more and more common in everyday life; and students graduating high school and college every year (or dropping out). Albuquerque Mayor Richard Berry has directed Oppedahl to work with existing tech-transfer leaders and innovators in Albuquerque and around the world with the goal of building a thriving entrepreneurial ecosystem in Albuquerque and to identify opportunities for growth and job creation; more specifically the commercialization of research from N.M. National Labs and Universities. The event will be held in the Lobo Rainforest Building classroom located at 101 Broadway Blvd., N.E.